Homepage › Forums › News and Reviews › Minetest v0.5.0 is coming! This topic was published by DevynCJohnson and viewed 1525 times since " July 28, 2015 @ 06:00UTC ". The last page revision was " October 30, 2015 @ 15:42EDT ". 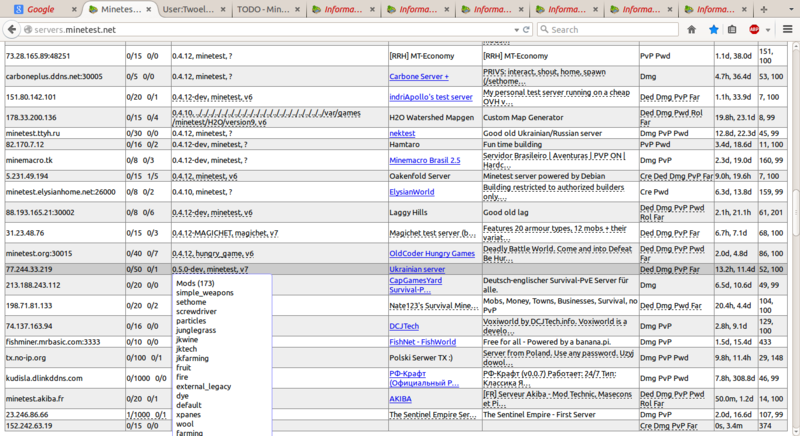 After visiting http://servers.minetest.net/, I noticed that one of the public servers were using Minetest v0.5.0. Could this be a prank, error, or a misunderstanding? Or, are the Minetest developers testing the next version of Minetest?